Update: If you were looking for signs of hyper-inflation in the San Francisco real estate market, then look no further than 888 Brannan, an iconic 95-year-old building that till recently has played home to San Francisco’s Jewelry Mart. This building is across the street from the San Francisco Concourse Exhibit Center, which is often used to host tech industry events such as Techcrunch Disrupt and Jason Calacanis’ Launch conferences. 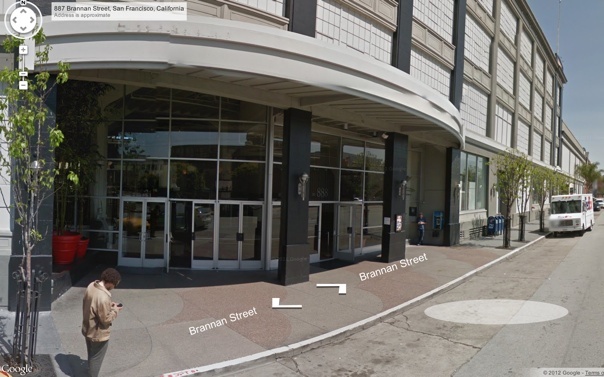 It is yards away from the Zynga offices and it has a new tenant. It is the new home for AirBnB, a San Francisco-based person-to-person room, apartment and house-rental company that is soon going to be moving to new offices. The company has signed a lease on this space, and has taken a whopping 170,000 square feet of space. The news was first reported by James Temple of San Francisco Chronicle earlier this year. What is astounding is the length of this lease — 10 years — and AirBnB will pay almost $97 million over that length of time. The company currently has a 40,000 square foot office in Potrero Hill area of San Francisco. Earlier this week when driving by the building I noticed that the Jewelry Mart was gone wasn’t there was some furious activity going in the building. (Update: A commenter says that the jewelry mart is there and so are the other jewelers and they are going to benefit from the improvements that are being made as part of AirBnB’s entry into the building.) Initially I thought perhaps this was the new Pinterest office. I was intrigued only because we had reported that Pinterest was moving from Palo Alto to San Francisco. Well, that didn’t turn out to be the case. Instead it was AirBnB. The Wall Street Journal recently reported on the growing popularity of what is known as “B” space with the technology companies. Real estate industry sources tell us that AirBnB has signed a 10-year-term on three floors (floors 3 through 5) for the building at an average rate of approximately $57 per square foot per year. The exact terms are that the rent is $47 per square foot per year (industrial gross rent) with 3% annual increases. The utilities and janitorial typically work out to about $4 per square foot per year. Half of the space is rent free for nine months, and the landlord will provide around $8,000,000 to improve their space while also doing renovations to the building lobby and other areas. 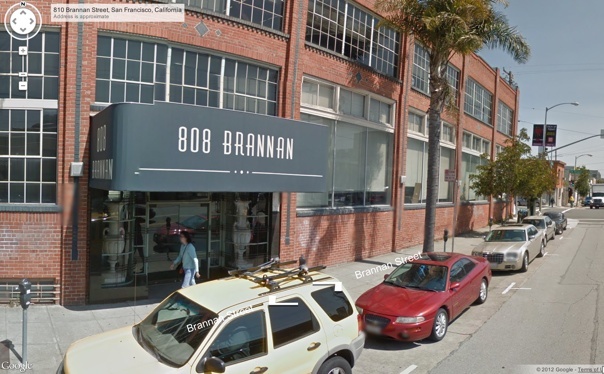 Pinterest incidentally has moved into 808 Brannan, not too far from the new AirBnB offices. Pinterest took about 55,000 square feet of space. Our real estate sources say that rents in this region are around $50 per square foot per year. At $50 per square foot Pinterest could be paying as much as $2.75 million in rent every year. Thank god both these companies are flush these days. Pinterest snagged $100 million in new funding to pay the rent and keep hiring all the cool kids. AirBnB has raised a total of $120 million in venture capital investments from the likes of Andreessen Horowitz, DST Global and General Catalyst. While these liberally funded, fast-growing tech companies are having no problems, the smaller startups are finding it tough to find workspaces. When good times return to Silicon Valley, you can count on a sharp increase in the number of startups and the venture dollars invested into these companies, which in turn puts a massive premium on real estate. Even though San Francisco Mayor Ed Lee likes to portray himself as a pro-tech mayor, the fact remains that things are getting rough for the little guys. There is one major flaw in this story, The Giftcenter & Jewelrymart and it’s 120+ wholesale jewelers have not left 888 Brannan. Not only is the Giftcenter & Jewelrymart thriving but the Landlord is investing in a new lobby and courtyard along with all new finishes all to be completed by the 4th quarter of 2012. The 120 tenants of the Giftcenter & Jewlerymart look forward to their new neighbor AirBnB. Thanks for the comment. I have updated the story to reflect your comment. The economics of this are insane. What a bizarre world where people running these companies consider this arrangement as acceptable. What’s even more amusing is that old school, Fortune 100 companies are starting to realize what a waste corporate real estate is, and moving more jobs to remote positions. Think about that… you spend less on real estate, and you don’t limit your talent pool geographically. Good points. The real estate has always been a problem for technology companies and they seem to basically underestimate the problems they sign-up for because of bad real estate leases. Lol. I would let the guys at WordPress know about that. Put your startup in Seattle! Rent is still cheap AMD the tech sector is probably second only to SFBAY. there has never been a great technology company based in Seattle.